The transformation of Crystal Palace after Wilfried Zaha came on at half-time at Stamford Bridge last weekend outlined his influence on the side. It also showed the threat he can pose to Huddersfield Town on Saturday. After spending just 19.8 per cent of the first period inside Chelsea’s final third, Zaha, returning from injury, instantly changed the mood. Palace were able to push into Chelsea’s final third for 34 per cent of the second half, firing off seven shots, compared with just two across the opening 45 minutes. 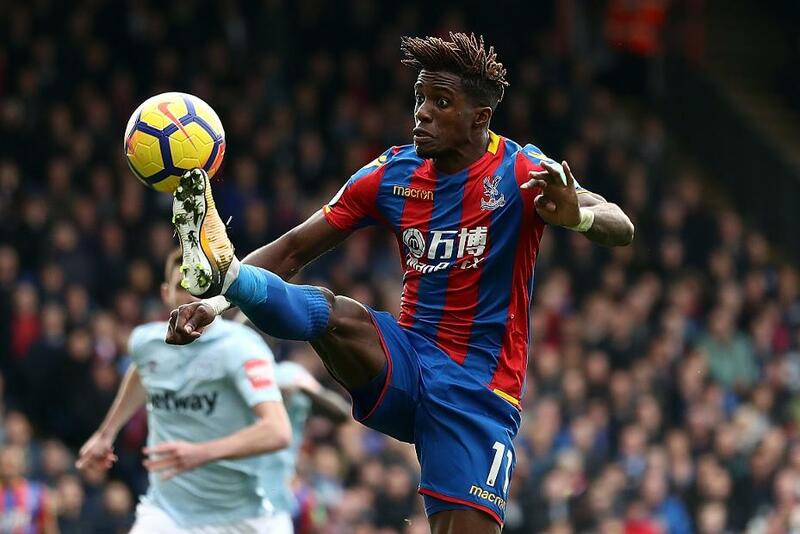 With the third chance he created, Zaha laid on a deserved goal for Patrick van Aanholt in stoppage time. It was a half of football that spoke volumes about how important the winger is to Palace's attacking force. In his absence Palace are not as fast in forward areas, especially when Ruben Loftus-Cheek has been unavailable, too. 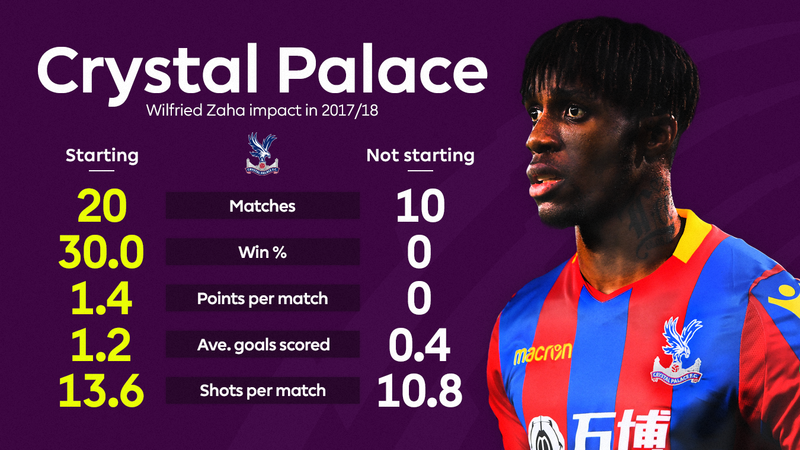 Christian Benteke, Alexander Sorloth, Bakary Sako and Andros Townsend are quick, but they do not offer Zaha’s turn of pace. This makes opposing defenders nervous and more prone to errors, things that can often change the course of a match. Zaha’s speed also affects where opposing defenders position themselves on the pitch. Fearful of having the space behind them exposed by Zaha’s speed, defenders will drop off. This sacrifices the space in front of them and creates room for Zaha, and his attacking team-mates, to profit. It is not only Zaha's speed that has been missed. His dribbling skills are also valuable to the team. Zaha, along with Townsend and Loftus-Cheek, has been Roy Hodgson's most effective runner with the ball at his feet. Like his pace, this facet of Zaha’s game gives Palace more unpredictability. In tight matches when chances are at a premium, one dribble can be enough to make the difference. When Palace are without Zaha, they are forced to rely more on accurate crosses and set-pieces. Zaha’s presence alone lifts the tempo of Palace’s play, forcing opponents to fret. This season Hodgson’s men average 2.5 more shots per 90 minutes, and an extra 1.8 shots on target per match with Zaha in the side. They have scored 24 goals in the 20 fixtures he has started, and only four from the 10 he did not. Hodgson has also welcomed back Yohan Cabaye and Loftus-Cheek for the trip to John Smith's Stadium. But the full return to fitness of Zaha will have cheered the manager the most.